A properly running automatic ice maker equals fresh, on-demand ice anytime you need it. But, like any other appliance in your home, it requires a little bit of periodic maintenance to ensure that all the pieces and parts run properly. Not only can an ill-maintained unit lead to foul-tasting and discolored ice, it can also compromise efficiency and lead to downtime. Regularly cleaning your ice maker is extremely important, especially if you have hard water where scaly deposits can alter the taste of your ice. Even if you don’t have hard water, you should follow the following ice maker maintenance tips for delicious, fresh ice all the time! 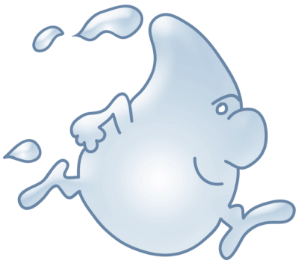 · Swap Out the Water Filter — Your refrigerator’s ice machine wouldn’t work at all without its water system, and the key to good-quality ice is good-quality water. Replacing your refrigerator water filters every four to six months can help prevent discolored ice, waterborne impurities, chlorine taste, and bad odors. Most importantly, regularly changing your water filter keeps water tasting fresh. Always read your refrigerator manufacturer’s instructions to determine which type of filter to use. You can also contact us for advice. · Clean It Regularly — If you find particles in your ice or have noticed that the unit seems to be running less efficiently than it once did, you’ll want to give your ice machine a good deep clean. One of the most important elements to keep clean is the ice bin. Debris that builds up in the ice bin can wind up in your ice—gross, we know—so cleaning it regularly with soapy water is a must. Follow the instructions in your fridge’s manual to learn how to properly remove the unit for cleaning. 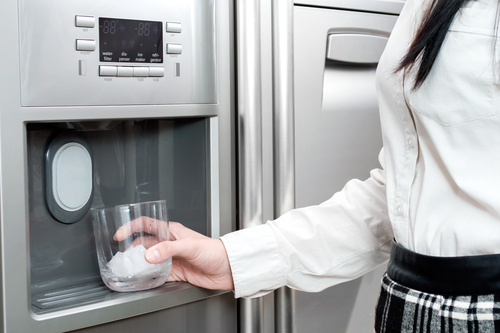 Some ice makers have dishwasher-safe parts, which can be useful if you want to totally sanitize the unit. · Think About Storage — According to LG, the way you store your food can have a lot to do with how efficiently your ice machine runs. Even though it can be super-tempting to toss a can of beer or soda directly into the ice bin for rapid cooling, this can compromise the unit’s ability to produce ice. Never store any food inside your ice maker’s bin. You also want to make sure that your ice maker is installed exactly where the manual indicates that it should be installed to ensure that the feeler arm has enough room to move. · Check the Feeler Arm — Anything in your ice bin that gets in the way of the feeler arm—the metal rod or plastic paddle on the side of the unit that helps judge the level of ice in the bin—can cause it to freeze or break. If your feeler arm breaks, you’ll either need to replace the component or the entire ice maker. Every couple of months, move the feeler arm up and down to make sure that it’s not frozen. If it is frozen, wrap a warm cloth around the part until it thaws. · Install a Water Purifying System — If you want to make sure that your ice maker always works at its best, a water purifier filtration system may be a good option. These systems help prevent minerals from accumulating in the ice bin and tubes, which can cause debris and particles to appear on your ice. For example, this Whirlpool water purifier is certified to reduce lead, pharmaceuticals, bacteria, viruses, and other contaminants that can compromise the quality of your water and ice. 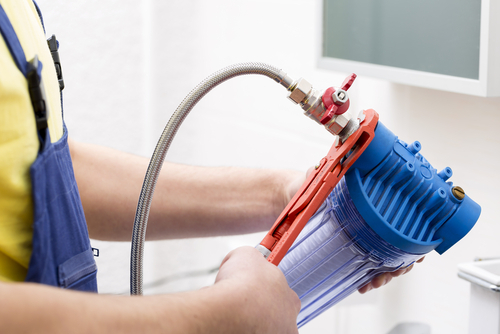 · Replace Parts, If Necessary — Replacement ice machine parts can come in handy if you’ve thoroughly cleaned your unit, replaced filters, and tried other things with no luck. The feeler arm and tubing are the two units that most often break or wear down, and replacement of these components is relatively simple. With that being said, you can also completely replace the ice maker assembly. In many cases, you can replace these systems yourself without the help of a professional. 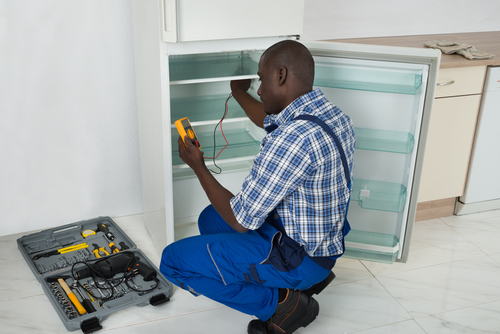 If your refrigerator is under warranty, the manufacturer is likely to supply and replace parts for free. · Change the Ice Cube Size — Sometimes, your water pressure can overfill the unit and cause certain components to become blocked or frozen. If you’ve noticed that parts regularly freeze or that the machine regularly overfills the bin, this may be an indicator that the water pressure is too strong. Rather than adjusting the pressure itself, which is often not an option, choose a smaller sized ice cube so that the bin can hold more.